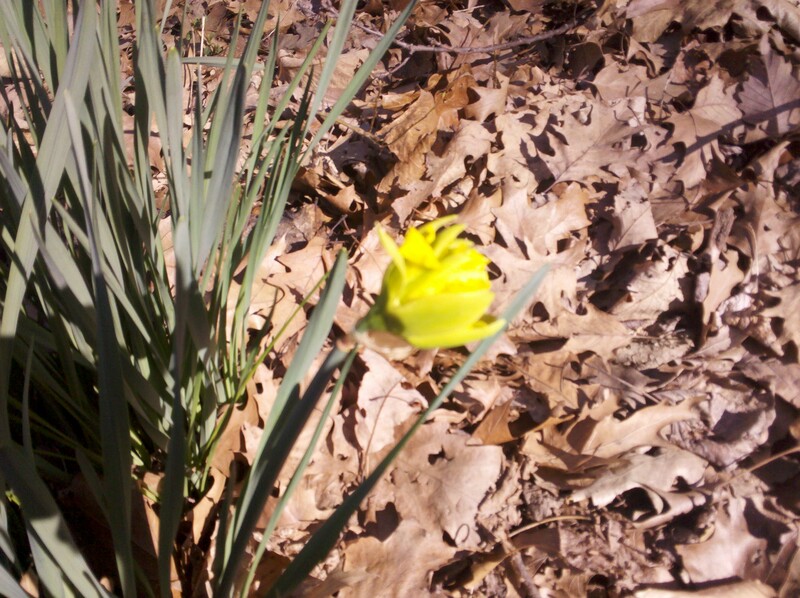 One of the wild daffodils descended from those in Lucy Grymes Lee's formal garden. In the month since I wrote Confessions of A Multitasker, a number of people have reached out to me to advocate a different way of managing my time. Rather than doing everything all at once, they recommend a practice called time chunking. There are a couple of definitions of time chunking out there. In essence, time chunking simply refers to the practice of devoting a block of time to one task. It will be familiar to writers and artists of all stripes, as well as people like engineers and programmers. We have to get into the “zone” to plow through a piece of work. That is especially true of a complicated article. I know I need a solid three or four hour window to produce the first draft of a complex 2,000-word piece of writing. • The first 90 minutes of your day are the most useful, because that’s when you have the most energy. Use them to focus on your most important tasks. I have to say this is the opposite of what I routinely do, which is open email and solve a lot of minor problems. So, this week, I’m going to give up some of my multitasking ways and try time chunking in a more deliberate fashion. I’ll report back next Wednesday with the results. • He also suggests taking breaks between your productive times. “There’s a growing body of research that people are most productive when they move between periods of high focus.” That one makes perfect sense to me. Picking up my kids at school helps enforce it on me. I found lots of bloggers thinking about this time chunking question. Debra Moorhead, a speaker and blogger, did this interesting post about time chunking. This is a new concept in time management and thus, has a couple of conflicting definitions already. By my definition, Time Chunking is taking all your tasks for the week, and devoting a huge chunk of time to get them done, finished, over-with. For example, Monday, I wrote all day. I didn’t get all of my blog posts written for the week, but I came close. I think I’m a pretty productive person (though always looking to become more so! ), especially when I’m motivated. When I looked back on my last Friday, I realized I did some good time chunking. I focused hard for the first 1.5 hours of my day, from 9:30 to 11. I wanted to spend four hours of time with my kids who were off school. I posted an online note that I’d be away from my desk – and drove down to Leesylvania State Park. 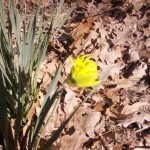 We hiked deep into the forest to look for the daffodils of Lucy Grymes Lee. She had eight children, one of them Gen. Larry Lighthorse Lee, of Revolutionary War fame, and was the grandmother of Robert E. Lee. She was also a lover of daffodils and planted fields of them below the terrace of her plantation house on a ridge above the Potomac River. The plantation house is long gone, but you can still find the descendents of her daffodils in a ravine in Leesylvania State Park. The best reason to think about time chunking – and every other time management trick there is – is to create more time for the things you really love. What’s your best productivity tip? Tell us in the comment area?